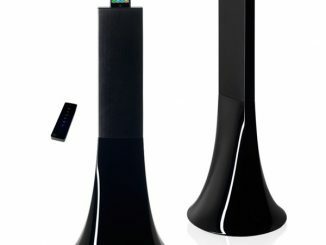 If you want to connect your existing audio devices to a pair of wireless speakers, the MP3 Tower from yesterday won’t be able to do the trick. 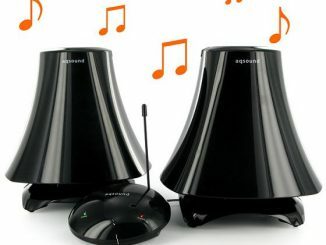 These black splash-proof stereo loudspeakers will be up for the task tough. 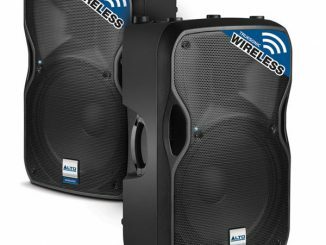 The rechargeable 15W Wireless Outdoor Speakers ($237) has a range of up to 100 meters. 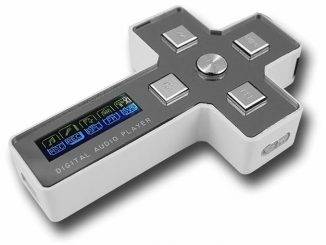 Simply plug the transmitter into your MP3 player, TV, VCR, HiFi, Radio or CD player. 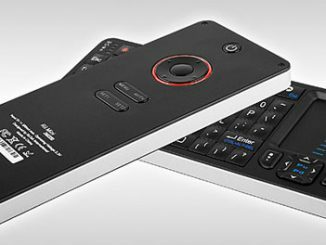 Then you can use the remote control to adjust the volume and flick through your favourite songs or programs. 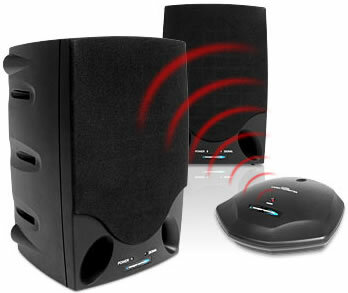 Two wireless, splash-proof stereo loudspeakers. 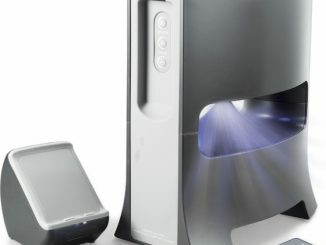 A transmitter that plugs into an MP3 player, CD player or a TV. An RCA converter lead to plug into your VCR or Hifi. The range from the transmitter to the speakers is 25m indoors and 100m outdoors. 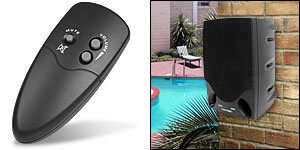 A remote control for the speakers. Converter from 3.5mm to 6.3mm jack plug. 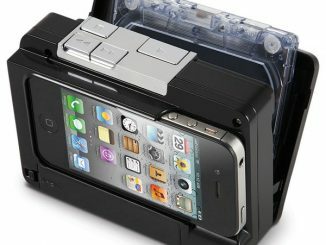 Requires three mains adaptors (included) for the transmitter and for charging the speakers. Requires 2 x AAA Batteries (not included) for the remote control. Size: 24 x 16 x 14.5cm (per speaker). And who mounts outdoor speakers half way up a wall? Patio speakers go under the eaves of the house and these are still ugly. Looks like someone who makes indoor bookshelf type speakers suddenly thinks they can make outdoor ones. Never works. Brand has no clue on anything in regards to speakers obviously, these look normal and work great.